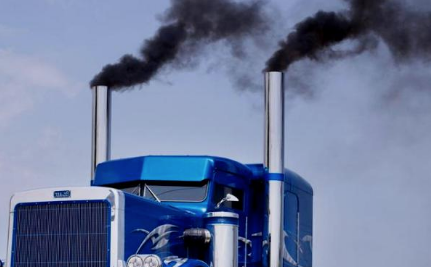 The World Wildlife Fund (WWF) is working to change the trucking industry, launching a new transport decarbonization tool at the Movin’ On by Michelin conference in Montreal. “We need companies, we need cities to align their initiatives with the Paris agreements,” said Pierre Clement of WWF. The tools include technical documents and information to help companies develop their own plans and ensure those plans align with the global agreement to cut carbon use announced by the countries in Paris in 2016. “The aim is to promote and encourage companies to set science-based targets,” Paola Delgado, research manager at WWF’s Climate & Energy Practice, said. Delgado said companies can submit their plans to WWF which will serve as a third-party assessor of those plans, or they can follow the guidance to develop their own plans. Nearly 25% of all energy-related carbon emissions globally are generated by passenger and freight transportation, with half of that coming from the freight industry. The tool uses something called “sectoral decarbonization approach” to help companies set their goals. This divides the total volume of greenhouse gas emissions that can be released while still meeting the emission reduction target set in Paris of not raising the global temperature more than 2 deg. Celsius, and divides it among sectors and then emitting companies within the sector. The tool was developed using data from the Mobility Model developed by the International Energy Agency (IEA). Using the tool, companies can compare their emission reduction plans with IEA’s scenarios for meeting or not meeting the Paris agreement. The guidance then helps companies decide what their targets should be and what timeframes they should use to achieve them. The important part, Clement said, is that the entire tool is science-based using documented approaches and data. As of April, WWF said more than 100 global companies have set science-based targets and 270 more have made formal commitments to do so.